Chinese internet company Alibaba has filed for an IPO. It had net income of $2.9 billion on revenues of $6.5 billion for the nine month period ending December 2012. 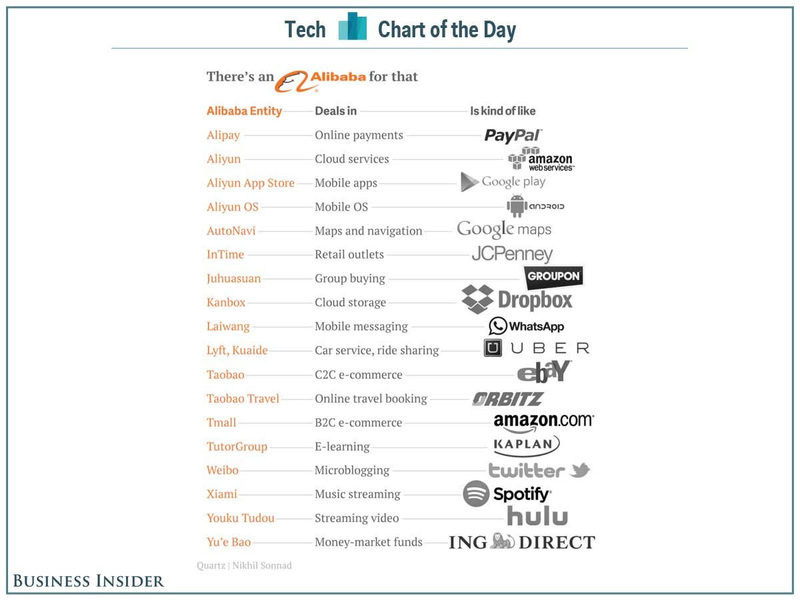 This chart from Quartz is the easiest way to fully understand the size and scope of Alibaba. As you can see, Alibaba is a sprawling company that does a lot of stuff.